I'm pleased to introduce a Guest Post by Serena Giovannoni, Wedding planner, Concierge and Personal Shopper in Tuscany. Who better than her can let us dream of Weddings in Tuscany? 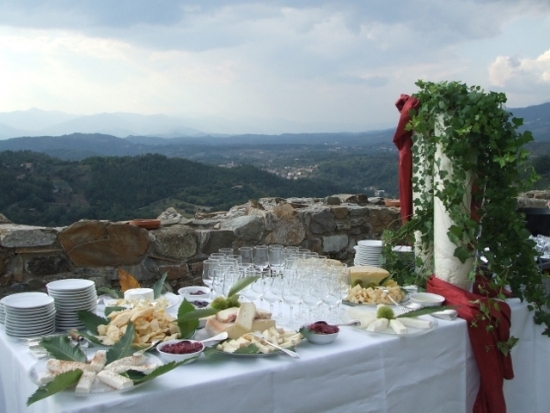 If you are dreaming of a fairytale wedding, then it will be a wedding in Tuscany. Culture, art and traditions combined with the wholehearted friendliness of its people makes weddings in Tuscany not only the dream of a life but an unforgettable experience that will leave you the desire to return and learn more and more about this fabulous land. 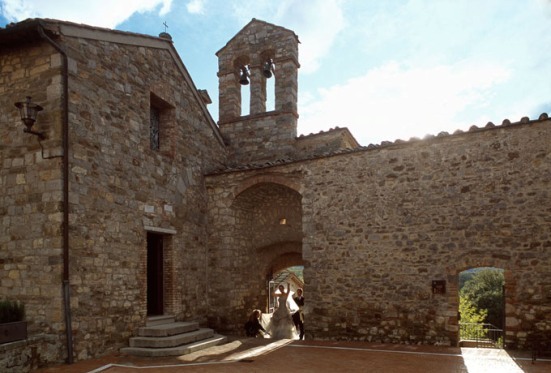 You will get to know of its lakes, mountains, beaches, hills but also of villas, cottages, castles, medieval boroughs, churches, towers ...well enough to make wedding in Tuscany a unique experience. 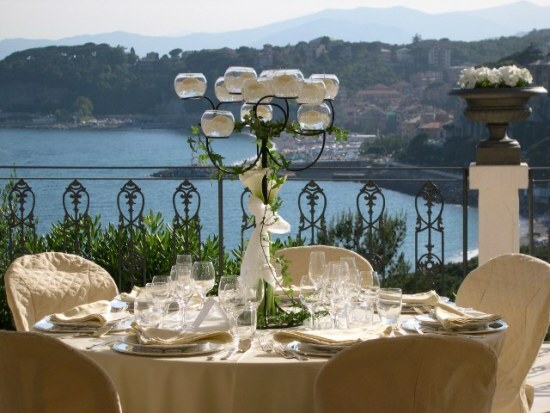 If you are looking for a location for your wedding in Italy, you'll be spoiled for choice in Tuscany. There are many historical dwellings, ancient villages and castles that can accommodate the newlyweds and their guests. 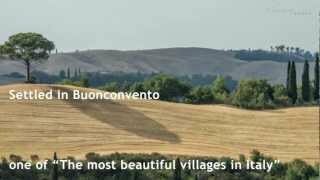 Tuscany has never been ruled by any power, but it was free to make its people express themselves and mingle with the world's cultures, so as to turn it nowadays into the richest region in terms of historical and cultural variety. A wedding in Italy, under the Tuscan sun, to live as in Catherine of Medici villas or as Leonardo in the Tuscan countryside or Napoleon in Elba. Salamis and cheeses paired with different varieties of honey and jams, varieties of toasted and crushed bread, combined with delicious sauces, to the queen of Tuscany "tagliata", cut steak, brushed with olive oil and a branch of rosemary , all accompanied with the best Chianti wine. Wedding in Tuscany means to embrace hundreds of ancient traditions and flavours that season our table and cheer our wedding receptions. Each place will display different recipes, typical area products and foodie specialities which are unique in the world. 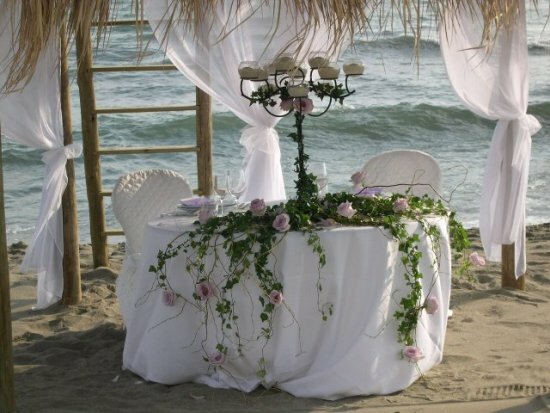 Couples who love the sea and enjoy its charm and fascination of colours in summer, can find a huge selection of venues on the coastline to set their weddings in Tuscany. With a broad range of facilities and venues beading its Riviera, wedding in Tuscany also means you can choose to lick the water with your toes while the moon lights up your most special day. Serena Giovannoni: Wedding planner and travel consultant in Versilia – Northern Tuscany Riviera, managing the incoming service agency Wishversilia. She has worked as a consultant for ten years both in the public and private sectors, in close touch with prestigious Italian and international environments. 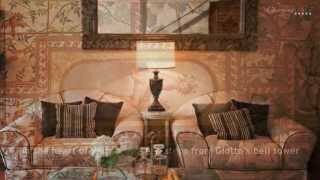 As Professional Travel Consultant, she mainly deals with the incoming travellers to Tuscany and Versilia, customizing products for different targets. Contact her directly. 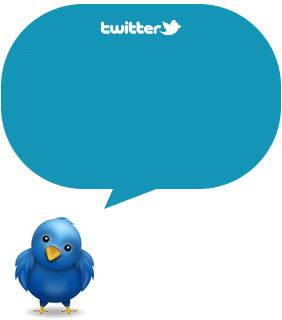 For more info about Tuscany, subscribe to our RSS and follow us on Twitter and Facebook!